Welcome to Jehanna, a city as beautiful as her name. Jehanna is the first city one would come across when entering High Rock from Skyrim. It rests on the border of the Druadach mountains in the south and the cliffs of Creag Coast in the north. The city's colors are muted, earthy brown and green. The animal symbol of the city is a deer/stag. The castle is a Bretic adapted Direnni ruin. The city is home to High Rock's only *true* temple to Yffre, though there are many small woodland shrines out in the wilderness of the West Reach/ Malekna Forest area. The city was ruled in practice by the royal family, descendants of the Witch-Kings of old. Until recently, when it was stolen by the fleeing Order of the Witch-Knights during the battle of Jehanna as part of the War of Bend'r Mahk, the royal family was in possession of the city's legal and cultural ruler, the essence of the last and strongest Witch-King, imbued into a totem that whispers to the wielder with the Witch-King's voice. The population was mostly made up of Reachmen, with the upper class consisting of the descendants of Breton Witch-Kings, Witch-Knights, and their servants. During the war, most of the Bretons fled the city, and are still displaced to this day, leaving the Reachmen population under the harsh rule of Haafingar. Since the war of Bend'r Mahk, however, tensions have been rising in Jehanna as the occupation drags on for decades. The early quests would be similar to early faction quests for an area, doing small tasks for the Witch-Knights, who have taken up residence in a hideout in the mountains near Jehanna. However, it will soon become clear that the player has been an unknowing accomplice in several guerilla attacks across the city against Haafingar forces, for example a shipment of wine delivered by the player is used to poison Haafingar soldiers, or the letter a player brings to an ally within the city is the schedules of the patrols about the city, used to coordinate attacks. When the player confronts the Witch-Knights about their complicity in the attacks, they have the option to oppose them or to continue helping them. Opposing the Witch-Knights leads to a branch about disbanding the order for good, through multiple means such as converting Yffre worshippers to Kyne, securing help from Haafingar, and finding a means to destroy the totem of the last Witch-King. The branch would end with the destruction of the Order and the final victory for Haafingar, Jehanna now officially Skyrim's. If the player decides to continue helping the Witch-Knights, they will be given more combat-oriented missions such as retrieving totem fragments from dungeons nearby or ambushing Haafingar forces in the surrounding area, before reaching the meat of the story, where they will need to enlist the help of the Ice Tribes and King Dead Wolf Deer in performing a ritual of Yffre to transform a Witch-Knight into a Jehennoth, a monstrous creature similar to the Bosmeri Wild Hunt. The Jehennoth will be used to attack Haafingar directly in an attempt to weaken their hold over the city. This causes King Thian to offer negotiations, a blatant trap. 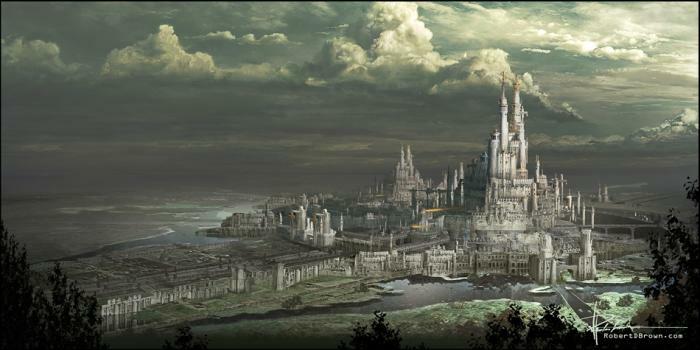 The player must then go to Evermore to convince the kingdom, which also houses the displaced nobility and Royal family, to negotiate for them, as it is much less likely Thian would risk war with Evermore by killing the ambassadors. Evermore agrees, but at the negotiations they convince Thian to release Jehanna as their vassal state instead of as a free Kingdom, in return for an alliance between Haafingar and Evermore against any potential pushback from Crowns towards the occupation of Dragonstar. The occupation is lifted, and the royal family allowed to return, with the city now largely allowed to return to the status quo except that it is now tied to Evermore as a vassal, possibly with one of the members of the royal family held as a hostage/ward to be brought up in the ways of Evermore. The Witch-Knights are at the same time relieved to have the occupation lifted and wary of their new allies and overlords minor betrayal. Update: After talking it out with multiple people on discord, a better and more plausible ending than Thian willingly diplomatically surrendering Jehanna would be that after the Jehennoth attack Thian moves forward with the negotiations fully intending it to be a trap but when the player and representatives of Evermore meet with Thian's representatives, a representative of the Empire crashes the negotiations and demands Jehanna be turned over to Evermore as a vassal state in order to cease hostilities and unify the West Reach under one governmental banner, making it easier to govern and to block Thian's expansion into High Rock for now.